The Cruciform Dagger has a carefully designed 3 1/2" long Stiletto blade and a 1/2" thick cruciform cross section that tapers to a needle like point. It features a somewhat unique cruciform handle, that"s designed to facilitate almost any gripping method. It"s precision injection molded from Zytel, for the ultimate in strength and stiffness. Zytel is a tough, stiff nylon and fiberglass composite that contains no metal and is impervious to the elements. It"s particularly appropriate in vehicle compartments, travel luggage, or a handbag and will look perfectly natural in virtually any environment. It"s lightweight, and effective, making it an ideal self-defense weapon. 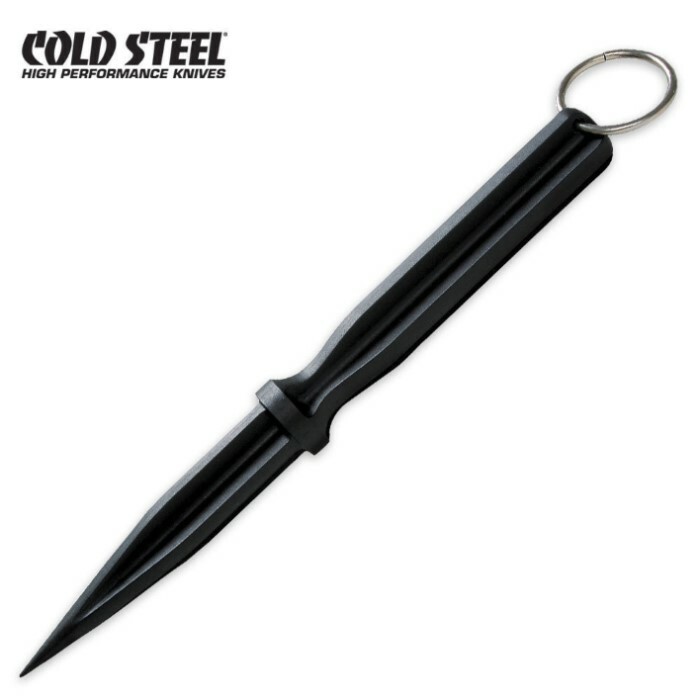 sturdy and worth the 5.99. it seems much more suited to spiking and blunt use than the jungle dart while being much cheaper. but don't expect to cut in a standard way with it unless you file a bit of one of the sides.